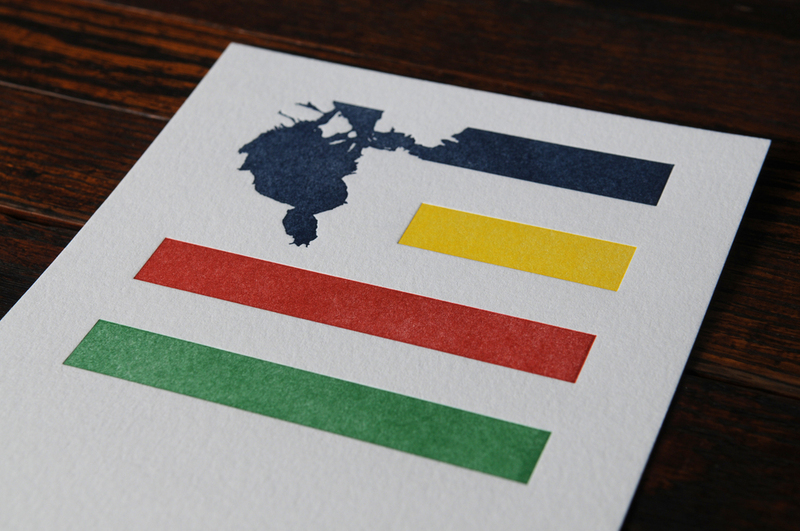 Four-color letterpress print of Canada's Hudson Bay on #110 Lettra pearl white paper is now available for purchase. This limited–edition print was created in collaboration with Kimberly LaFoy and Ryan Habbyshaw of Valor Press at their Somerville, MA studio. The print measures 5” X 7” and is signed and numbered on back. Limited-edition of 60.